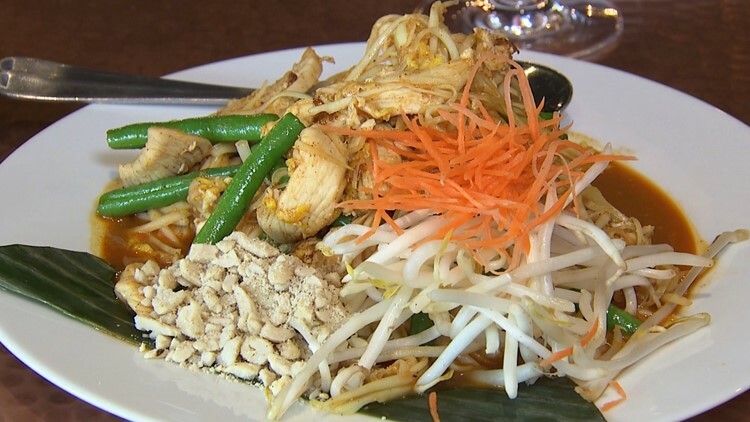 This Pad Thai at Thai by Day uses shredded papaya instead of noodles. The restaurant offers patrons a modern and often playful take on classic dishes. EDMONDS, Wash. — Long line at the Edmonds ferry terminal? Why not grab a bite to eat at one of the best new Thai restaurants in town. Thai by Day serves classic Thai dishes with a modern twist. Instead of noodles, you can get Pad Thai with shredded papaya. It's a healthy alternative for anyone looking to cut carbs from their diet. Other winners on the menu include the Panang Noodles and Somtum Poo-Min, a papaya salad topped with softshell crab. For those of any age, try the deconstructed ice cream sandwich. 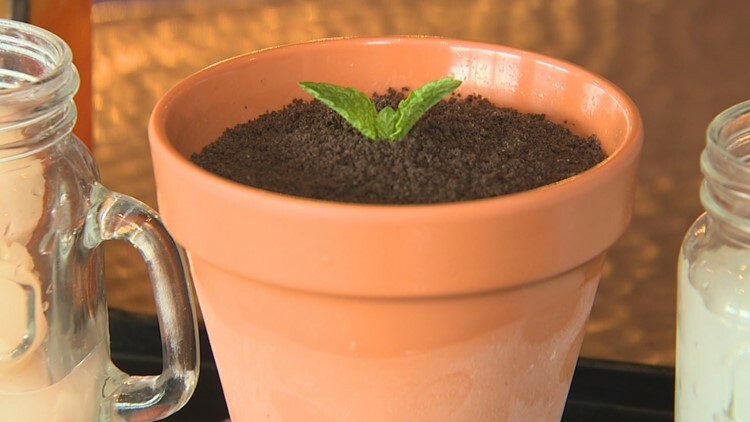 The coconut ice cream is served in a flower pot and topped with crushed cookies and a mint leaf. It's a fun way to end a delicious meal.